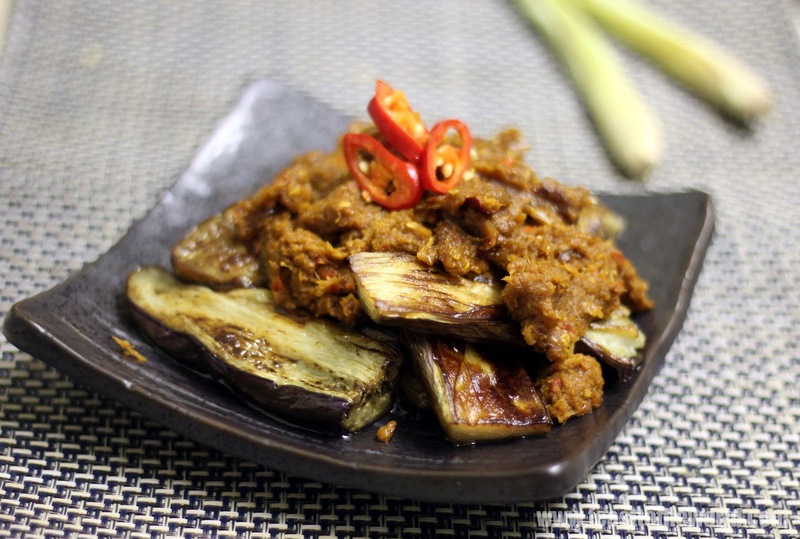 If you are not too familiar with Southeast Asian cuisine, you might be wondering, So what is a brinjal? Well, the truth, it is commonly known here as aubergines and eggplant for the American. Brinjal is slightly brighter in colour, and is very much slimmer and longer than it's more ubiquitous cousin over here. It is widely available in the far east especially in Singapore. This is just one of the few ways I like to serve it. Brinjal can be a very bland if it's not thoroughly cook and there is nothing worse than an undercooked brinjal which yield a bland tasting vegetable. My nan used to cook them by deep-frying them in a wok full of hot oil which only take seconds to cook but I have decided to pan-fry them for a much healthier option. The trick is to make sure that you have enough oil in the frying pan to start with. as the brinjal start cooking, it will absurd all the oil initially but these will be release back out onto the pan after a while. Do not at any point, attempts to add more oil as the brinjal will then continue to absorb more oil and give a very greasy finish. The best thing about this dish is the fact that it is so quick and easy to prepare for a weekday supper and is just delicious with a bowl of steamed rice. Pound all the ingredients for the rempah/spice paste in a mortar and pestle or food processor. 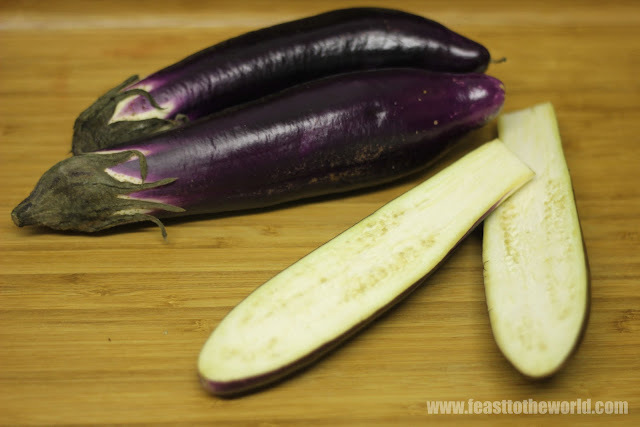 Halve the brinjals lengthwise and then cut into 5 cm length. 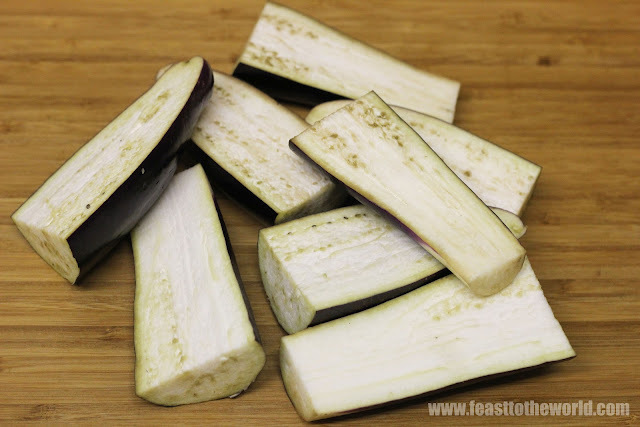 If using large aubergines, cut into quarters and then into 5 cm pieces. 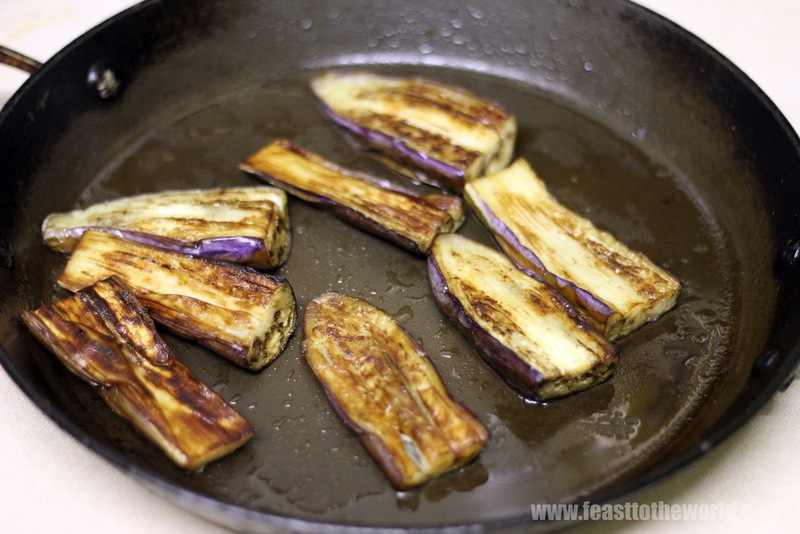 Heat 4 tablespoons of the oil in a large frying pan over high heat and fry the brinjals/aubergines for 8-10 minutes, turning regularly, until cooked. Remove and drain on some kitchen paper and keep hot in a warm oven. Heat 2 tbsp oil in a wok over medium heat. Fry the spice paste for 5-6 minutes, or until fragrant, then add the tamarind paste, sugar, water and salt to taste and cooked for another 2 minutes. 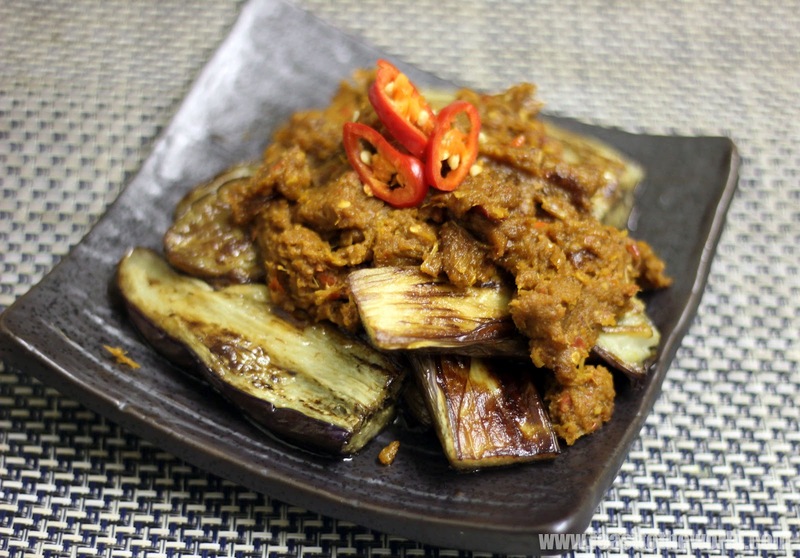 To serve, transfer the brinjals/aubergines onto a serving plate and pour over the sambal/sauce and serve immediately with a bowl of steamed rice. Oh boy, the SECOND lovely aubergine recipe in the week (yep, i also read Shuhan's) ;). The queen of vegetables deserves no less. Despite being a bit of an aubergone fiend, i've never had this particular version. The addition of the shrimp paste to all that garlic and chilli sounds totally unctuous. The whole dish looks amazing and will be finding it's way to a bowl of rice near me very soon. Aaah...another aubergine lover! I must say you've got good taste, it is definitely one of the most delicious vegetables around.